On the occasion of the Mid-Autumn Festival, on the morning of September 28, in order to let the poor families in Dapa village live a joyous, peaceful and happy holiday, Huang Zhien, chairman of the group trade union, led a delegation to Dadu Village, Aotou Town, Conghua to carry out Mid-Autumn Festival Mid-autumn Festival sympathy activity. Lu Qing, Vice Chairman of the Group Trade Union, Chen Ping, Chairman of the Trade Union of Mingxing Company, members of the Party Committee, branch secretaries, trade unions, human resources department and the Communist Youth League attended the symposium. 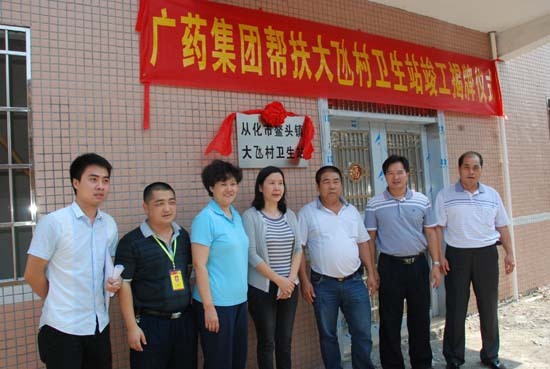 Cai Weiping, secretary of the Conghua Task Force affiliated to Guangzhou Municipality, Li Weihong, the first deputy director of Aotou Town, all the members of the Poverty Alleviation Office, cadres of the "Two Committees" of the Taipa Village and the leading group of the Taipa primary school attended the event. On the same day, the condolence team held cordial talks with the village party committee and the poor households in Dapa village to further understand their production and living conditions and encourage them to build up their confidence in their confidence and strive for a better life together. The condolences are packed. 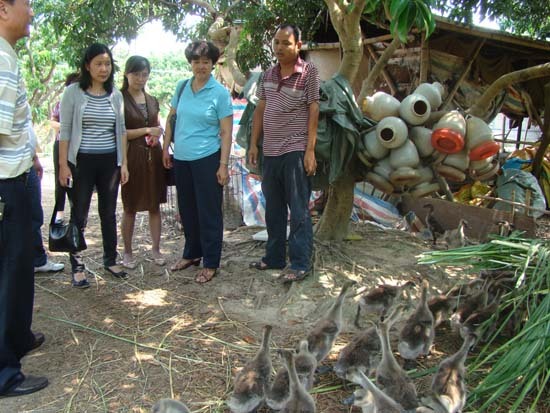 First of all, the condolence team and his party distributed condolences materials such as fax machines and daily necessities to the representatives of the Dapa village, the Taipa primary school and the poor, and awarded prizes (subsidies) to poor families and children. 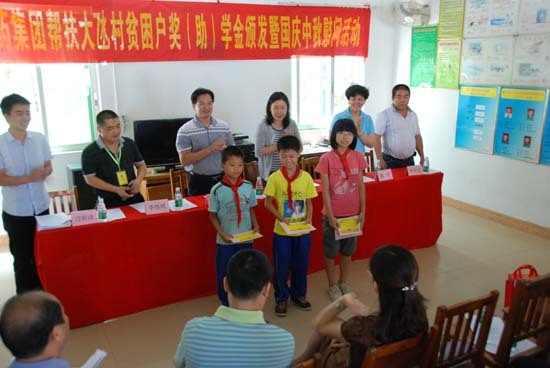 At the same time, Students were awarded the "love broad medicine" essay award, outstanding gardener award. President Huang Zhien pointed out that knowledge has changed its fate and hopes that children can study peaceily and grow smoothly. It is hoped that with the help of our government, the economy in Dapa Village will have a good foundation for development and the villagers live a better life. During the event, representatives of poor households expressed their gratitude for the help and care of GPHL and said they would try their best to live as soon as possible to get rich. 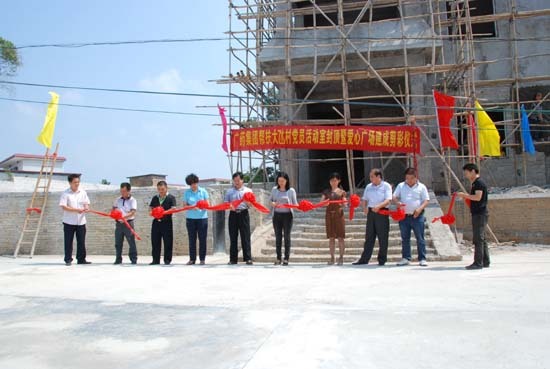 In order to perfect the infrastructure of Dapa village, facilitate the villagers to seek medical treatment and enrich the amateur life of the villagers, Ming Hing Company donated money to Dapa village to build a health station and party activity room. On the same day, leaders including Huang Zhien, Cai Guoping, Lu Qing and Chen Ping unveiled the Dakota Sanitary Station. The ribbon-cutting ceremony of the capitals of the Party members' activity room and the plaza of Loving Heart was completed under the witness of all guests. At the end of the activity, the consolation team visited and helped raise poor families and talked with them cordially, asked them questions they urgently needed to solve in their present life, and learned more about the implementation of the help program. 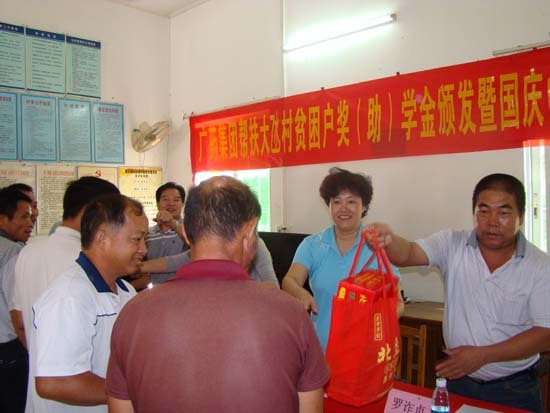 Autumn warm love line, our company has always put poverty alleviation work into reality, highlighting the wide drug people, Mingxing people help the poor love, more reflects the company's high sense of social responsibility.